Another year of AFI FEST is over, 83 features and 36 shorts screened across eight days. This year I highlighted 33 films as high priority, set out to see 25 and ended up seeing 17. In order to give a fair amount of coverage to all 17 films viewed, I've decided to break the festival down by day(s) including short reviews for each film. Below you'll find my coverage for the second day of AFI FEST 2013. "The Wind Rises" is famed animator Hayao Miyazaki's final directorial effort. Over Miyazaki's illustrious thirty year career he has given children and adults alike hours and hours of animation that boasts pure imagination. Here with his final film, Miyazaki revels in the art of imagination. It is fitting that an animator who has given so many countless hours of imagination to the public ends his tenure with a love song to exactly that. 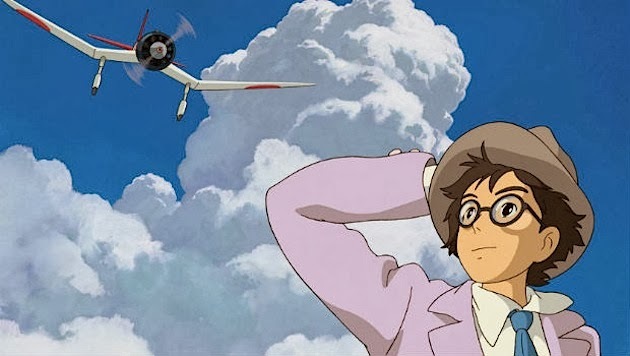 To do so Miyazaki uses a fictionalized account of Jiro Horikoshi, a Japanese aviation engineer, to weave his tale about creation and innovation. First and foremost the animation on display is, as you'd expect, stunning throughout. In all honesty, much of this film is bittersweet. I spent moments lost in the animation, staring at the beautiful hand painted images and wishing this would not be the end of Miyazaki's art. Technically, it isn't. Studio Ghibli will continue on, and that style that I have watched for over twenty years of my life will live on. This is however, the last story Miyazaki will tell and that is something I have yet come to terms with. "The Wind Rises" helps to remind the audience that we only have so much time, and perhaps Miyazaki feels his creation has run its course. There are plenty of directors I wish could see this in themselves, and honestly I'd argue, Miyazaki could continue to make mesmerizing cinema. All that said, Miyazaki has stated he is finished, and this film does an elegant job of tidying his career up. My only complaint about "The Wind Rises" is the love story, sure it is sweet, but much of it feels bloated and unnecessary to the heart of the innovation story being told. Miyazaki could have spent more time wrestling through the ideas and emotions of Horikoshi's aviation designs being turned into weapons of war, rather than heartache. After all, it is Jiro Horikoshi who is responsible for designing the planes that would attack Pearl Harbor during WWII. Ultimately, the love story felt tacked on in an already meaty and beautiful biography. If you hadn't already guessed, Miyazaki's final film is not a fantasy like so much of his other work, rather this is a personal film, playing in far more adult tones than normal for Miyazaki. There is a revered nature to "The Wind Rises" blossoming an undeniable passion for innovation that rings true into our own humanity in sweeping Miyazaki fashion. Yeah, I love it. "In Bloom" is a dreary portrait of Georgian teenage femininity in the 1990s that lacks any meaningful force. 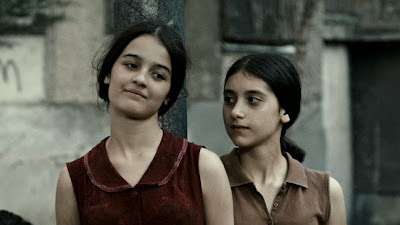 Luckily, both Lika Babluani and Mariam Bokeria in the lead roles Eka and Natia deliver portrayals strong enough to carry the personal drama through to the end. While I appreciate the experience conveyed, resistance to adulthood in an oppressive patriarchal society, the film lacked the emotional punch it desperately needed. There's a uneasy build in "In Bloom" that warns the viewer something bad will happen, unfortunately the build leads to anticlimactic payoff. Being a personal story, I respect the story for putting this experience out their for others to see. It gives plenty of perspective with numerous important emotions swirling, it just lacked the empathy needed to make the film substantial. "Bethlehem" is a bold reminder of the generational hatred that continues in the Middle East told through the eyes of an unfortunate informant. Writer and director Yuval Adler constructs a taut thriller building relationships between a Israeli Secret Service officer and his Palestinian informant in a calculated fashion. Tension on each side of the story relentlessly builds, reasoning all the while, that neither side's angle may work out. There is also a wonderful and delicate balance between stability and frantic leading the audience towards an unhinged boiling point. This riveting drama has been selected as the Israeli submission for Best Foreign Language Film at the 86th Academy Awards and should prove to generate solid buzz as it is seen by more and more crowds. I found it to have an authentic quality that strays away from any sort of political agenda but instead told a fair yet ruthless account of the trials and tribulations that come from both sides of informant work. "The Sacrament" is the most unnerving found footage horror film I have seen. This movie got under my skin and stayed there like no other. I don't think I will ever be able to watch this film again despite having two tremendous performances by Gene Jones and AJ Bowen. I have heard rumblings from director Ti West that this will be his final horror film, as to not be pigeonholed in the genre, and if that is the case what a inspired way to go out. 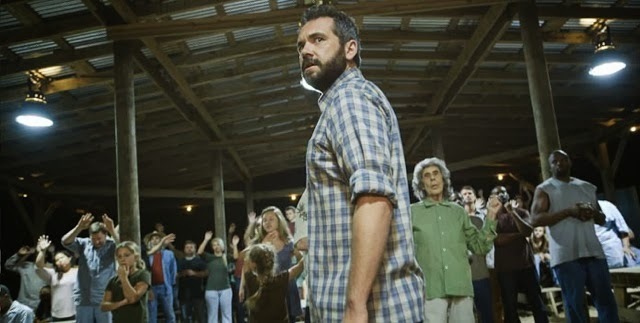 Ti West plays with ideology in its most terrorizing form, using religious overtones to woo would-be believers into fatality. A big reason "The Sacrament" works so incredibly well is Gene Jones as Father. Jones delivers a rattling performance that grabs your attention just by the sound of his voice as he calls out to his believers. The chill of his voice is compounded by an electric physical performance, one so smarmy and despicable it left me flustered for days on end. AJ Bowen on the other hand carries the film. His inviting portrayal of a skeptic VICE journalist documenting the Utopian community "Father" has created is both convincing and energetic. Bowen also captures the anxiety of the story as it unfolds in unwavering fashion. His performance compiled with West's tale kept me white knuckled and holding on as the horrific events unfolded. Stay tuned for more breakdown of each day at AFI FEST 2013. Check out coverage from Day One.